"Of course there are a Palestinian people! A Saudi preacher ignited a big controversy by saying that the sacrifice that Abraham did was of Isaac, as the Torah says, and not Ishmael. 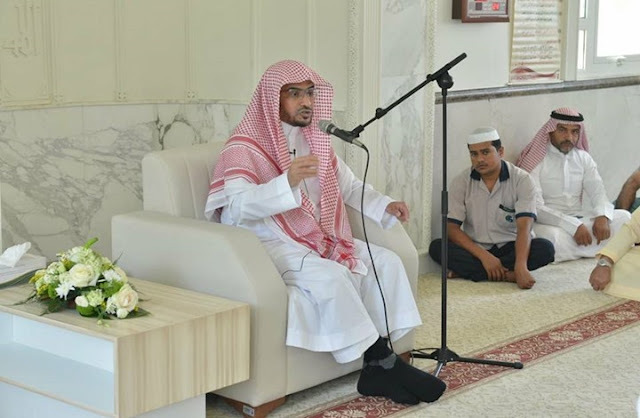 On a TV show on MBC TV, Salih al-Mughamsi said that his interpretation of the Quran is that the "sacrifice" is of the prophet of God, Isaac, not his brother Ishmael. He said that Ibrahim (Abraham) left Hajar (Hagar) and his son Ishmael in Mecca, then at the age of 75 returned to his people to preach to them, and then married Sara, who gave them Isaac, and God ordered him in a dream to slaughter his son. The thing is - the Quran doesn't contradict him! The story of the sacrifice in the Quran doesn't mention Ishmael once. Isaac is mentioned after the event, which is why many Quranic scholars believe that the main passage doesn't refer to Isaac. And [then] he said, “Indeed, I will go to [where I am ordered by] my Lord; He will guide me. My Lord, grant me [a child] from among the righteous”. So We gave him good tidings of a forbearing boy. And when he reached with him [the age of] exertion, he said, “O my son, indeed I have seen in a dream that I [must] sacrifice you, so see what you think.” He said, “O my father, do as you are commanded. You will find me, if Allah wills, of the steadfast”. And when they had both submitted and he put him down upon his forehead, We called to him, “O Abraham, You have fulfilled the vision.” Indeed, We thus reward the doers of good. Indeed, this was the clear trial. And We ransomed him with a great sacrifice, And We left for him [favorable mention] among later generations: “Peace upon Abraham”. Indeed, We thus reward the doers of good. Indeed, he was of Our believing servants. And We gave him good tidings of Isaac, a prophet from among the righteous. And We blessed him and Isaac. But among their descendants is the doer of good and the clearly unjust to himself. According to this site, 38 of Mohammed's companions support the Isaac theory, and only 28 support the Ishmael theory. Both traditions have serious support within Islam. It is interesting that a preacher is willing to even say this out loud nowadays. We have lots of ideas, but we need more resources to be even more effective. Please donate today to help get the message out and to help defend Israel. What Is the Muslim Brotherhood? & The Nakba: Do Facts Mean Anything? How Do We Know Anything about the Holocaust? 170 killed in Syria the first three days of this week. No one bothered to report about THOSE dead Arabs. Palestinian candidate for Congress, grandson of Munich terrorist mastermind, would be considered an @UNRWA "refugee"
Here are three of the "innocent civilians" killed yesterday, members of the Al Quds Brigades. One was 16 years old. This blog may be a labor of love for me, but it takes a lot of effort, time and money. For over 14 years and 30,000 articles I have been providing accurate, original news that would have remained unnoticed. I've written hundreds of scoops and sometimes my reporting ends up making a real difference. I appreciate any donations you can give to keep this blog going. Donate to fight for Israel! The Jerusalem Report:"A seemingly indefatigable one-man operation, armed only with a computer, chutzpa and stamina." Algemeiner: "Fiercely intelligent and erudite"
Omri: "Elder is one of the best established and most respected members of the jblogosphere..."
Atheist Jew:"Elder of Ziyon probably had the greatest impression on me..."
Soccer Dad: "He undertakes the important task of making sure that his readers learn from history." AbbaGav: "A truly exceptional blog..."
Judeopundit: "[A] venerable blog-pioneer and beloved patriarchal figure...his blog is indispensable." 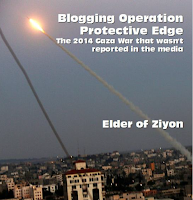 Oleh Musings: "The most comprehensive Zionist blog I have seen." Carl in Jerusalem: "...probably the most under-recognized blog in the JBlogsphere as far as I am concerned." Aussie Dave: "King of the auto-translation." 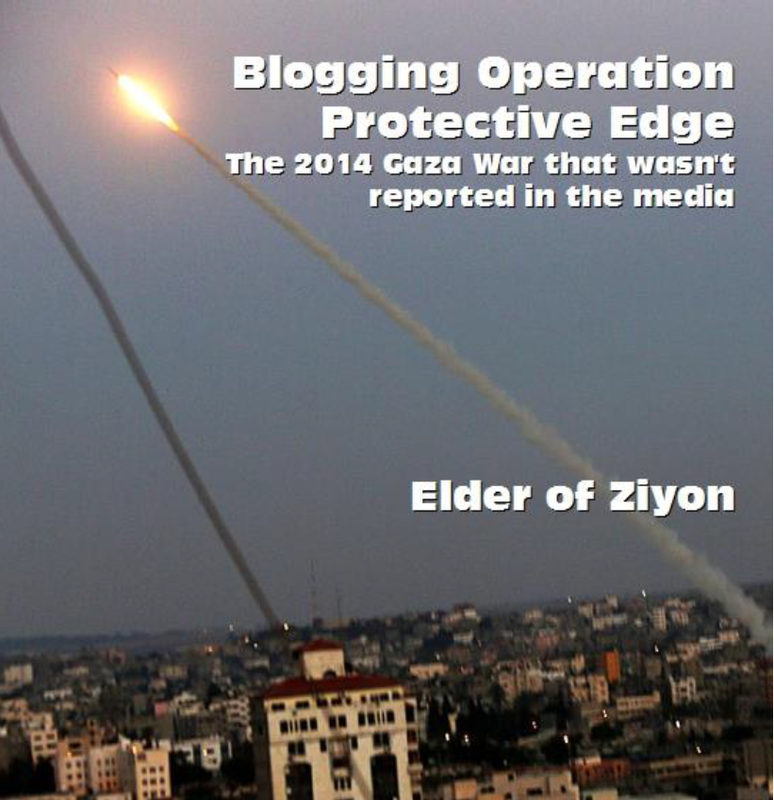 The Israel Situation:The Elder manages to write so many great, investigative posts that I am often looking to him for important news on the PalArab (his term for Palestinian Arab) side of things." Tikun Olam: "Either you are carelessly ignorant or a willful liar and distorter of the truth. Either way, it makes you one mean SOB." Mondoweiss commenter: "For virulent pro-Zionism (and plain straightforward lies of course) there is nothing much to beat it." Being Progressive Means Never Having to Accept ‘I’m Sorry’ - Division is the point. View Post The post Being Progressive Means Never Having to Accept ‘I’m Sorry’ appeared first on Commentary. Jerusalem Was Largely Ignored as a Muslim Holy City — Until Zionists Came Along - Elder of Ziyon has been blogging about Israel and the Arab world for a really long time now. He also controls the world, but deep down, you already knew that. The only Jews with "white privilege" are the ones who hide their Jewishness. That isn't privilege - that's living with oppression. How @UNRWA violates the most basic rule of NGOs: "Do No Harm"
"50 year occupation of Palestinian territories"? Lecture in Egypt on "Herzl, Imam of the Zionists"
Who is "Progressive Except for Palestine?" 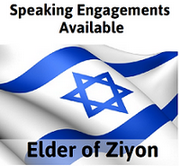 The opinions expressed by those providing comments on this website are theirs alone, and do not necessarily reflect the opinions of Elder of Ziyon. EoZ is not responsible for the content of the comments. You are legally liable for the content of your comments that you submit to this site. By submitting a comment to this website, you warrant that we are not responsible, or liable of any of the content posted by you and you agree to indemnify us from any and all claims and liabilities (including legal fees) which could arise from your comments submitted to the site. Copyright 2017 EoZ. Powered by Blogger.